Can’t wait to catch Odell Beckham Jr. back on the field this upcoming season. The rising NFL star was recently spied at a Lakers home game to see Kobe Bryant play during his final NBA season. 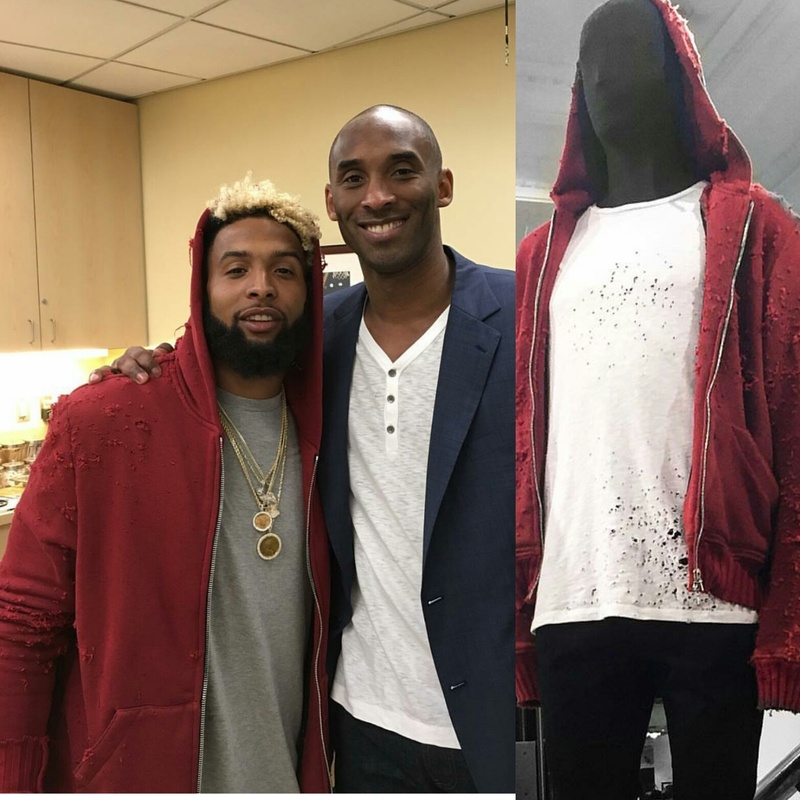 After the game Odell and Kobe took a few photos together in the team locker room, Odell sported a Amiri shotgun hoodie.